Have you ever had one of those weeks when things just don't seem to go right or fall in your favor–where it seems like everywhere you turn there's something leaving you unsettled? I recently had one of those weeks, and boy by the end of it, I was aching to bring all my cares and worries to God. 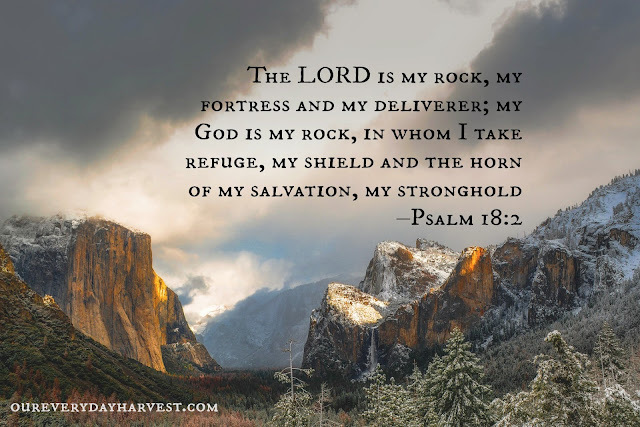 It's such a comfort and a blessing to know that we can lean on our rock, the Lord, and He will provide us with the peace and protection we need, while also carrying us out of our tribulations.